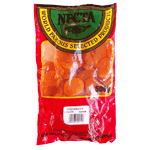 Dried Turkish apricots. Dried fruits are some of the healthiest alternatives to refined sugar, and they are an excellent way to satisfy a sweet craving. While many manufacturers use the natural sugar found in fruit, called fructose, to sweeten their products, eating fruit itself in moderation is a great way to get needed nutrients and vitamins. Dried fruit is a quick and tasty way to get those same benefits during a busy, fast-paced day. 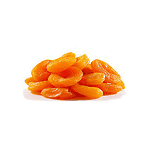 The most nutritious way to eat apricot is dried. A good source of fiber, they also contain vitamin A, C and Iron.